iRealHousewives | The 411 On American + International Real Housewives: Watch The Dramatic RHOA Season 11 Reunion Trailer HERE! 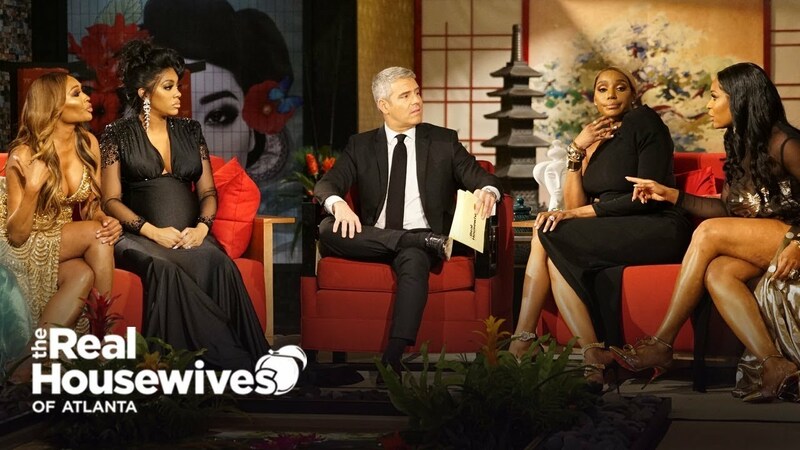 Watch The Dramatic RHOA Season 11 Reunion Trailer HERE! Despite being a lackluster season for The Real Housewives of Atlanta, their Season 11 reunion will have everything we wanted all season. It will include plenty of shade, new accusations, broken friendships and DRAMA! Andy takes a look back at Cynthia Bailey, Eva Marcille, Kandi Burruss, NeNe Leakes, Porsha Williams and Shamari DeVoe's most memorable and shadiest moments. The three-part reunion kicks off on Sunday, April 7 at 8pm/7c. Also in the reunion will include appearances from Marlo Hampton, Tanya Sam and NeNe's husband Gregg Leakes. Watch the #RHOAReunion trailer below! The “Bye Wig” party saga continues and Marlo is accused of adding fuel to the fallout. Cynthia glows as she talks about her whirlwind relationship with Mike Hill, while hinting at wedding bells. The ladies discuss the drama surrounding Eva’s wedding party and her finances takes center stage.